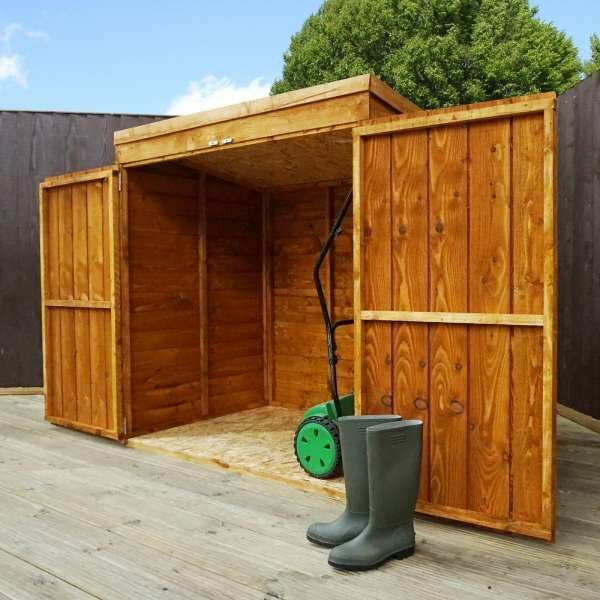 If you don’t have a large garden or spare room in your outdoor area, storage can be difficult. 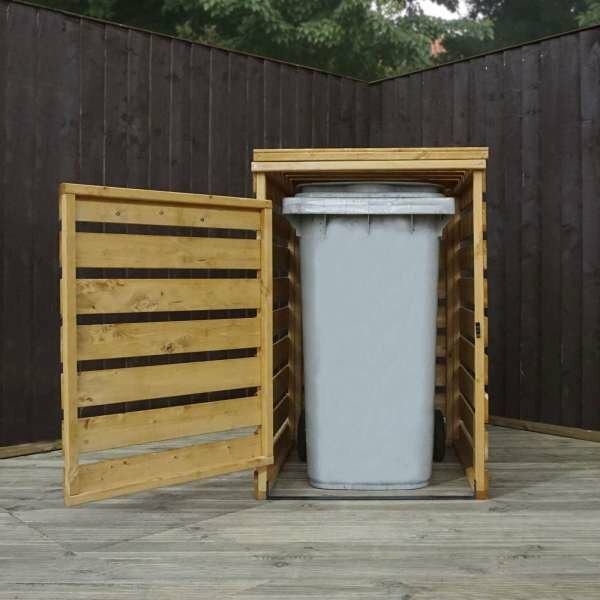 However, our Mercia Tall Stores provides excellent storage, particularly for larger items, without using up too much of your precious space. 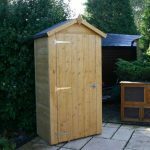 With a high roof yet a small footprint, you can pack in a surprisingly large amount of equipment, tools and other garden items. 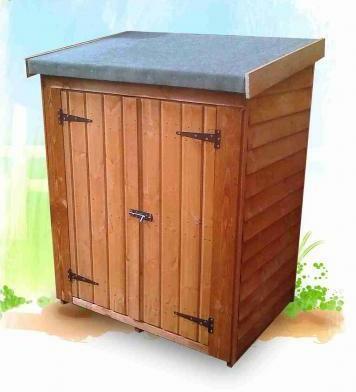 Offering an abundance of vertical space, this sentry box style of storage unit is excellent for stashing away taller items or sports equipment. 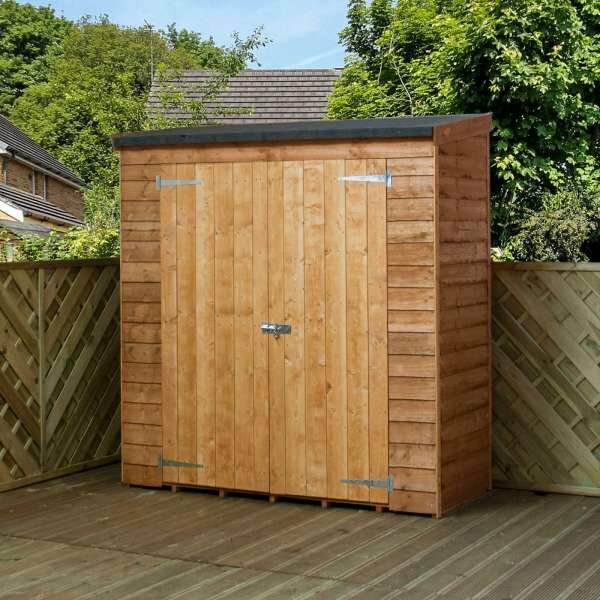 With the door on the narrow end and 12mm shiplap cladding throughout, the design of this storage facility is strong and secure. 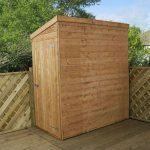 There are no windows to tempt would-be thieves, and a tough pad-bolt provides a robust and lockable barrier against unwanted entry. 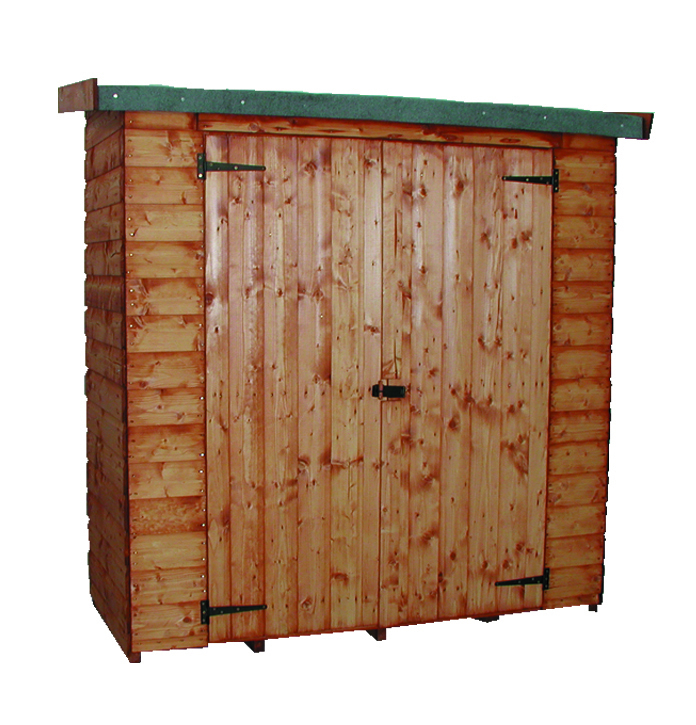 The roof is gently sloping, carrying away rainwater and preventing puddles from damaging your timber. 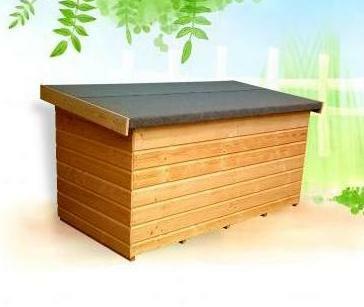 Sand felt covers the roof, providing additional protection and weatherproofing to complement the drainage. 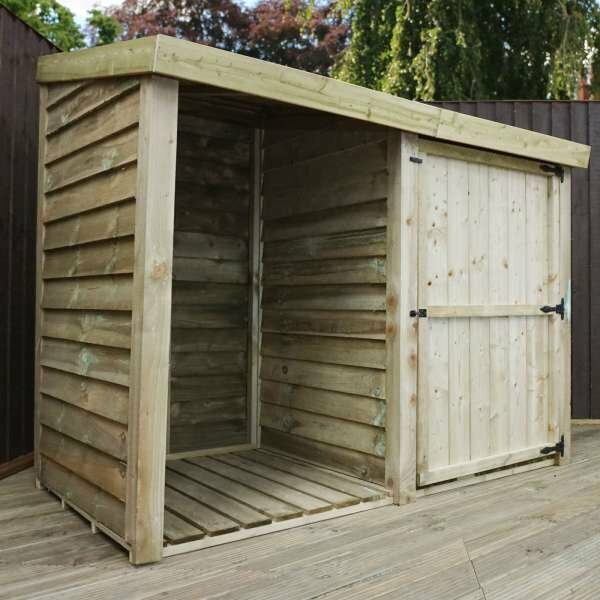 A solid sheet board flooring of 10mm combines with an 8mm solid sheet board roof, creating a high quality storage area which is durable and built to last. 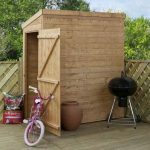 Manufactured from start to finish in the UK, we also offer expert installation in mainland England Wales.